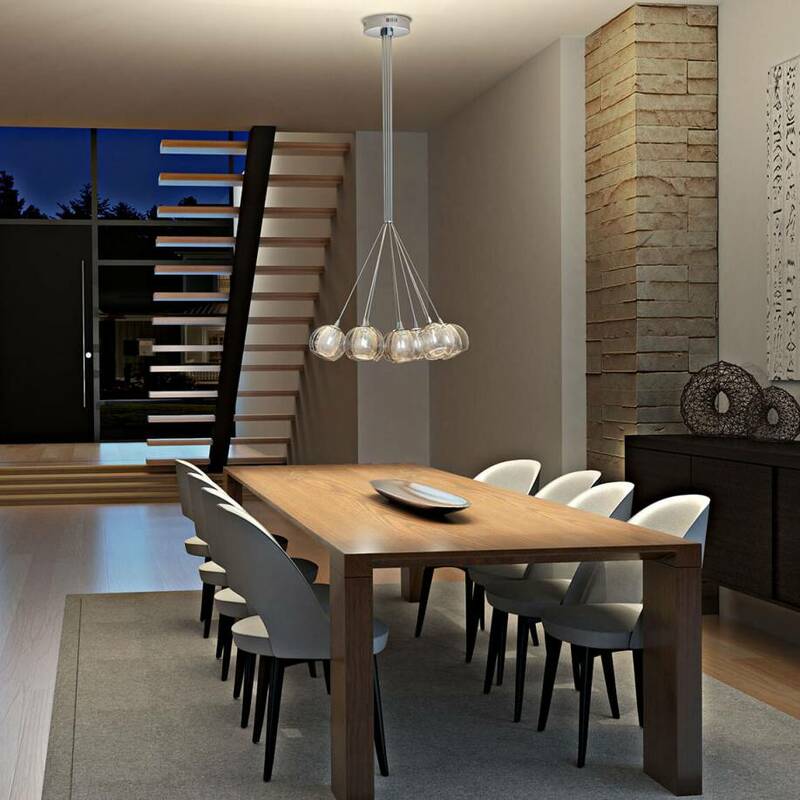 Add a stylish and tasteful bouquet of lights to your interior to highlight the beauty of your decor. 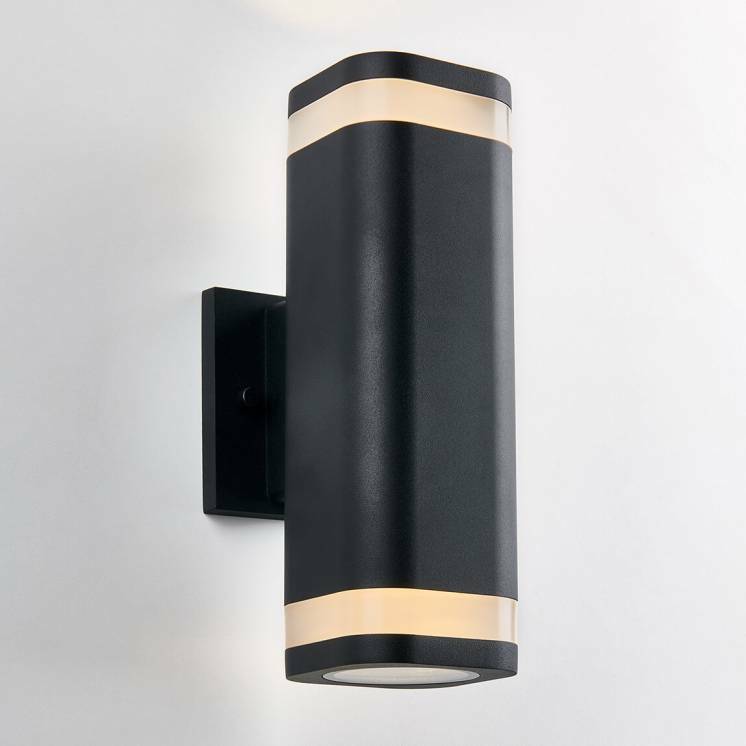 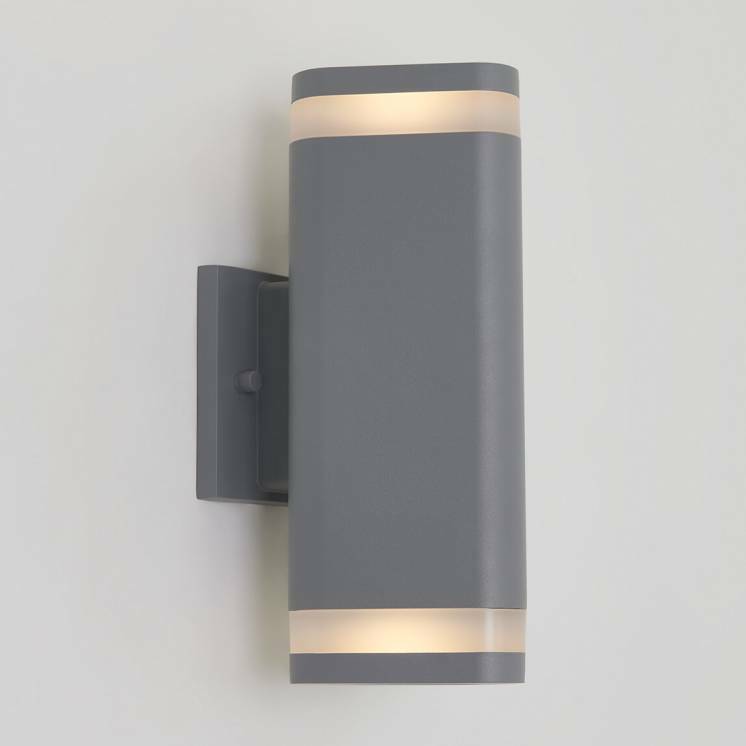 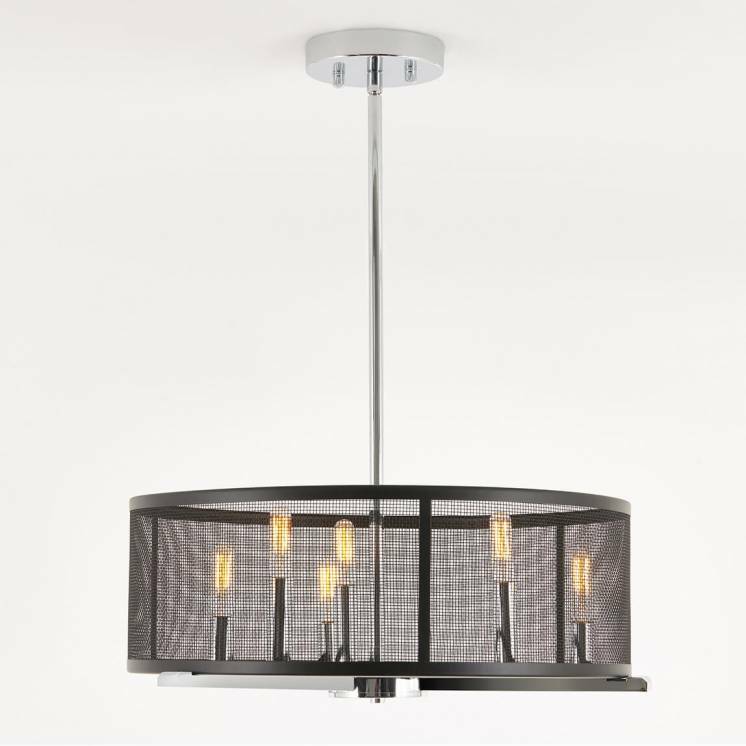 Thanks to the Mood, you will bask in the timeless aesthetic appeal of a high-class luminaire. 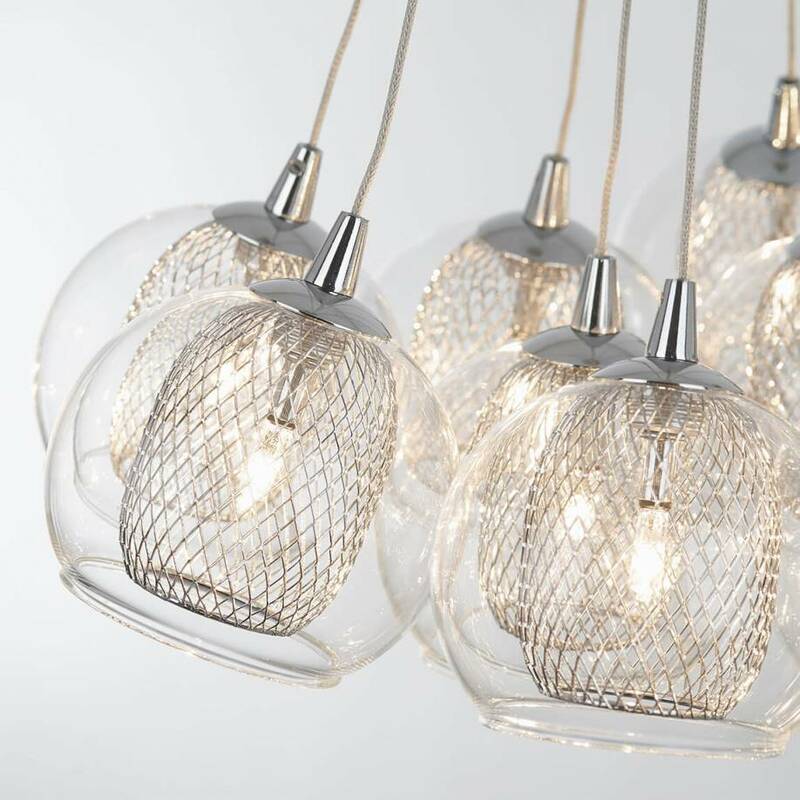 Its soft accent light diffused through its spherical fine wire mesh shades is notably ideal for cocktail hours between friends. 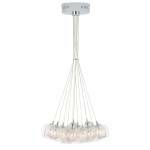 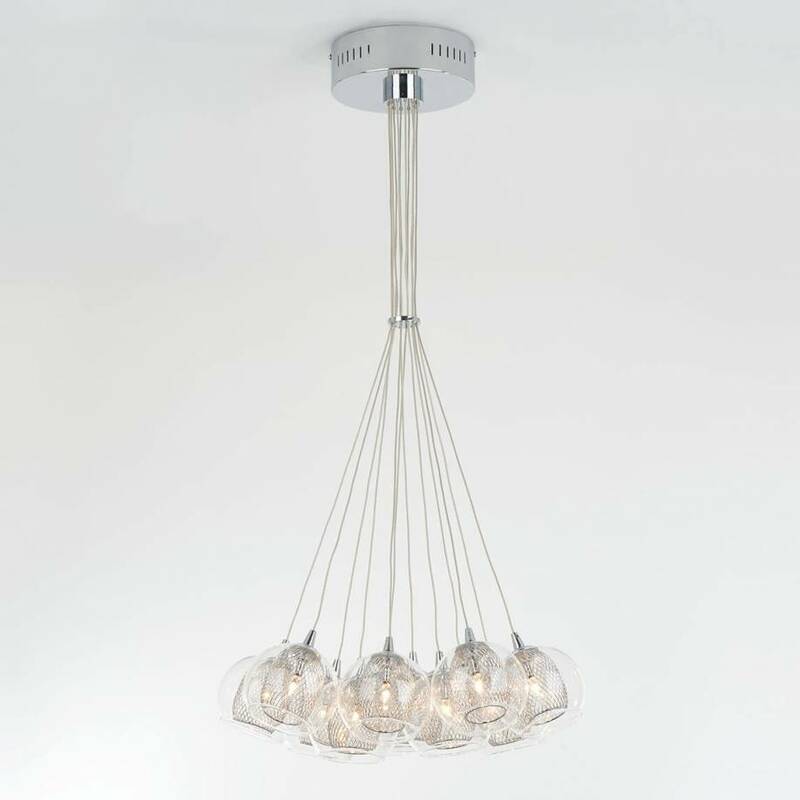 However, as its name indicates, this pendant fixture will be able to seamlessly fit all your moods. 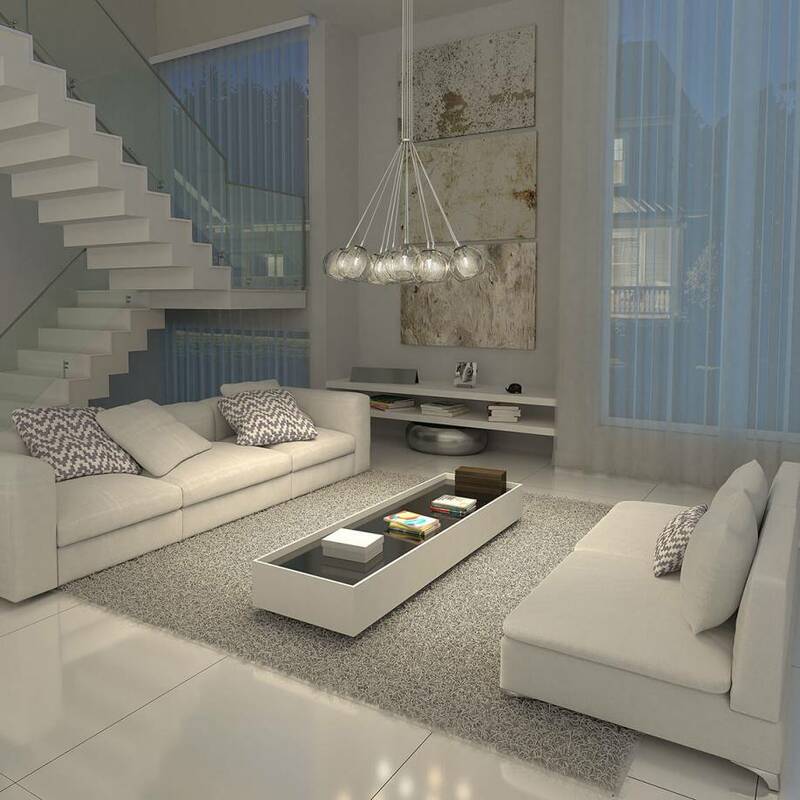 The purity of the Mood guarantees that this model will pair particularly well with a simple and contemporary decor. 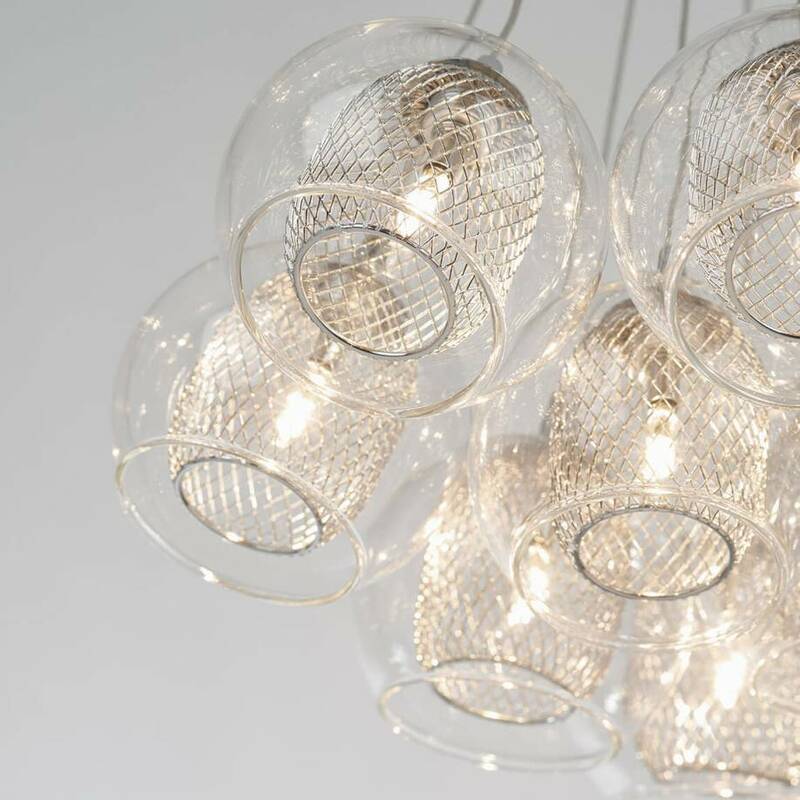 From up close or far away, it reinforces the aesthetic appeal of your interior. 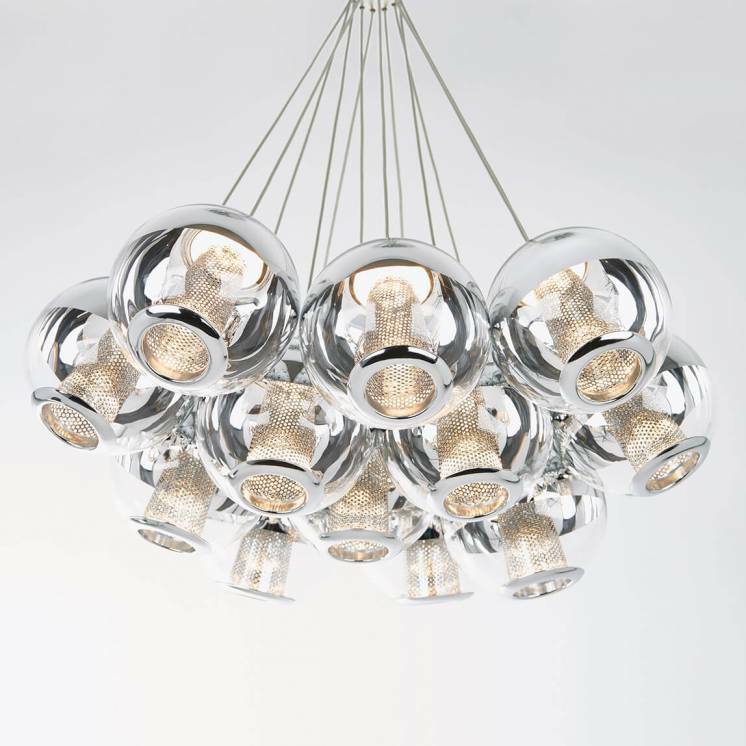 Its delicate finish and chrome accents give off a sense of renewed elegance. 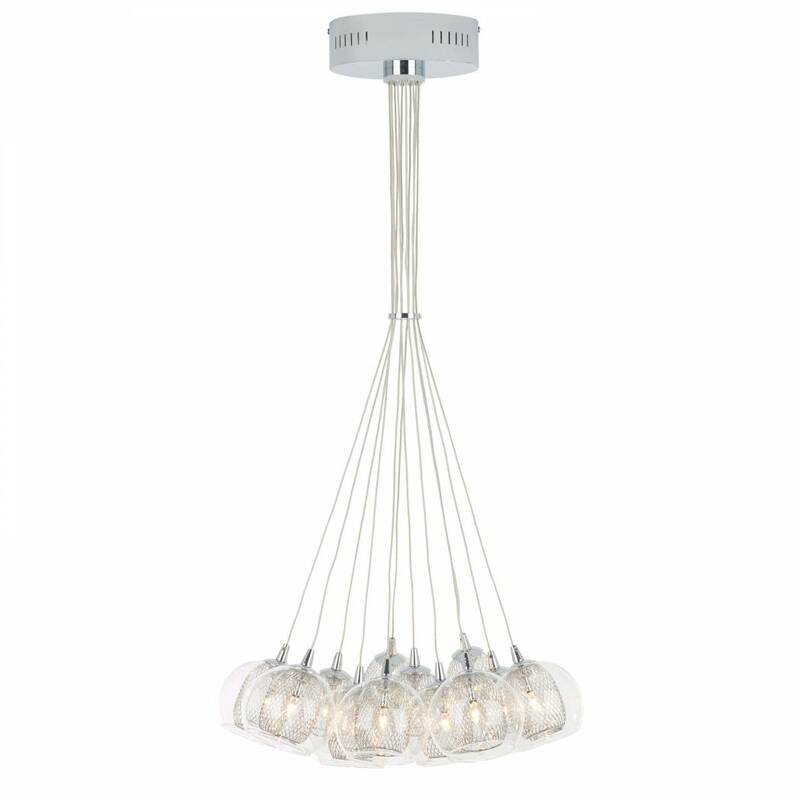 Easily install it in your living room or dining area so that it may subtly accompany all your moments spent at home.